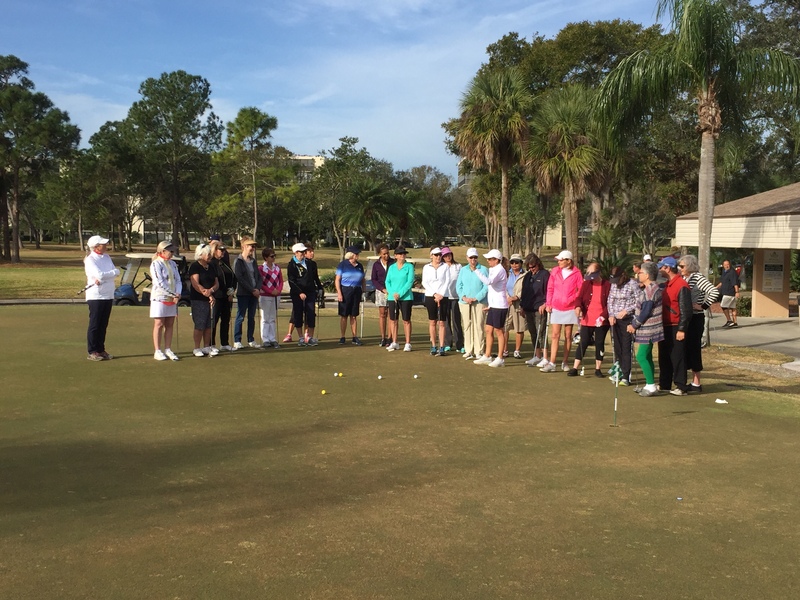 At the Shriver Golf Academy, we offer a variety of group golf clinics, designed for a person who is on the go, likes the idea of a “just show up” lesson, kind of like an “aerobics class” for golf! We offer a non-threatening, fun environment for the beginner golfers, and also can provide more advanced instruction for those who are looking to learn how to shoot lower scores. Pat and Bill specialize in club-fitting, and can “size you up” while you are with us for the clinic, giving you ideas for new equipment, or how to improve the equipment that you have. We can meet your needs no matter where you are with your golf! Find out more about all of the great group clinics we have to offer.